Barmer Accents presenting an exclusive range of designer Wholesale Handbags Lot that makes a style statement for modern women. Our artwork is best in class that includes mirror work, hand block prints, embroideries, bead work, patchwork, appliqué work, Boho styles and tribal ethnic Indian handbags. We bring you a wonderful discounted collection of purses and handbags that are made with rich materials like cotton, silk, and vintage materials in different designs and colors. Our cheap handbags from India are widely recognized in the international market for their flawless finish and exclusive designs. 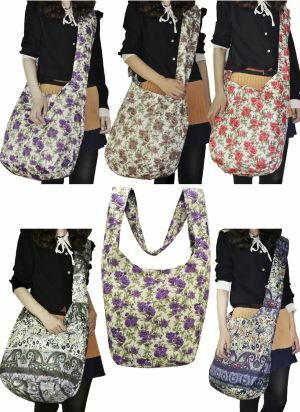 We offer high quality 100% cotton made handbags that embellished with various items, and are offered in different colors and designs. Embroidered Bags ,Small Purses, Designer Bags, Ethnic Embroidery Bags Ladies Hand Bags, Vintage sari Hand Bags, Patchwork Bags Handloom Cloth Bags, Embroidered Bags, Traditional Shoulder bags, Hand Made Bags. 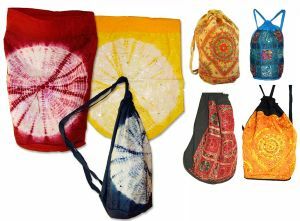 Description of Work: wholesale lots of assorted mix designs of Hand Bags. 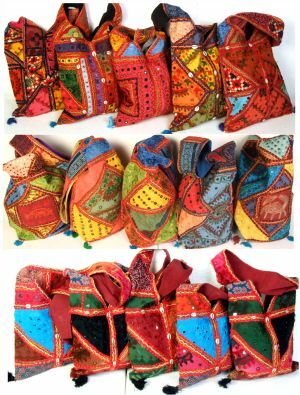 This wholesale made of Hand Embroidered and mirror work Hand Bags, all in various ethnic Indian tribal Hand Bags, colors and designs, is a must to complete your collection. The various embroidered motifs and borders in Bohemian tribal patterns gives an exclusive Look. Description of Lot: With more than 50 different designs available, we put in maximum colors same and similar to the pictures, in a wholesale lot of 100 pcs. Description of Work: We offer high quality 100% cotton made handbags that embellished with various items, and are offered in different colors and designs. 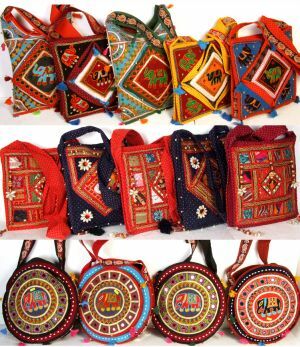 .Embroidered Bags ,.Small Purses, .Designer Bags, .Ethnic Embroidery Bags,. Ladies Hand Bags,. Vintage sari Hand Bags,. Patch Work Bags,. Handloom Cloth Bags,. Embroidered Bags,. 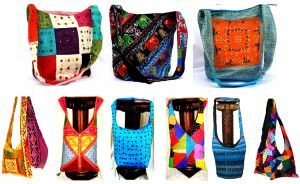 Traditional Shoulder bags,. Hand Made Bags. Description of Lot: With more than 50 different designs available, we put in maximum colors same and similar to the pictures, in a wholesale lot of 50 pcs. Description of Lot: With more than 60 different designs available, we put in maximum colors same and similar to the pictures, in a wholesale lot of 100 pcs.